Continuing until Thursday September 10th. 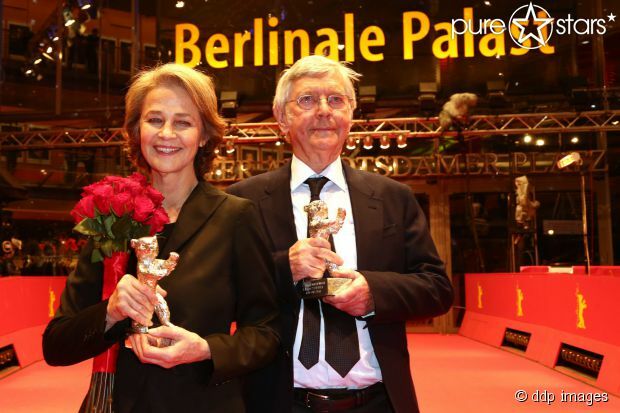 The film garnered Best Actor Awards for both Charlotte Rampling and Tom Courtney at the Berlin Film Festival – serious critical prizes. Both are deserved, but it is Rampling’s character Kate who is the centre of this film. She is a skilled actress with an ability to use extremely subtle expressions and movements. The film is a pleasure to watch as we explore the character and situation of Kate and her husband Geoff (Courtney). And they are well supported by a several fine British actors in minor roles. They are preparing for the forty-fifth wedding anniversary party: the unusual anniversary is something we learn about in the course of the film. The film is beautifully crafted around these performances. The cinematography by Lol Crawley is especially fine. There is a precision in the use of close-ups and two-shots: and well judged use of long shots and long takes, with the occasional slow forward track. The design, sound and editing all ably support this: and visually and aurally [at a second viewing] I was struck by minor but significant detail. A good example is the opening credits with non-simultaneous sound, which acts as a plant for later in the film. Max, the German Shepherd, the settings in the Norfolk Broads, and a piece of piano music by Liszt, all bring resonances to the story. Director and writer Andrew Haigh has adapted the film from a short story by David Constantine. Apparently he has shifted the focus of the film to Kate. It is beautifully judged. This is a character study and tale with great complexity. It also [consciously I assume] references a British film tradition of denial. There are subtle parallels with the classic Brief Encounter (1945): more recently The Deep Blue Sea (2011).